Hello everyone, and welcome back to our world for a few minutes. We just wrapped up the concept plan phase (above) for a family in San Elijo Hills, CA, and produced a video (below) to demonstrate the process. We’ve partnered with John Kennedy, of Nature Designs (no, not THAT John Kennedy, silly. THIS John Kennedy..), and they will be performing all of the construction services on this project. Upon completion, we will have the tangible product here in full for your viewing pleasure, in the form of another video short. Things have been busy-busy here, as you can tell not only by the pace of this video, but also by our extended absence from here. We hope to be more present in this space, and realize we have some unfinished business in our other endeavors here too (i.e. ‘the avoidable alphabet’ and ‘go.give.feel.great.’). So, we promise to tie up those loose ends shortly as well. In the mean time, we present to you: “Landscape Design: A Creative Process”, so sit back, relax, and enjoy. 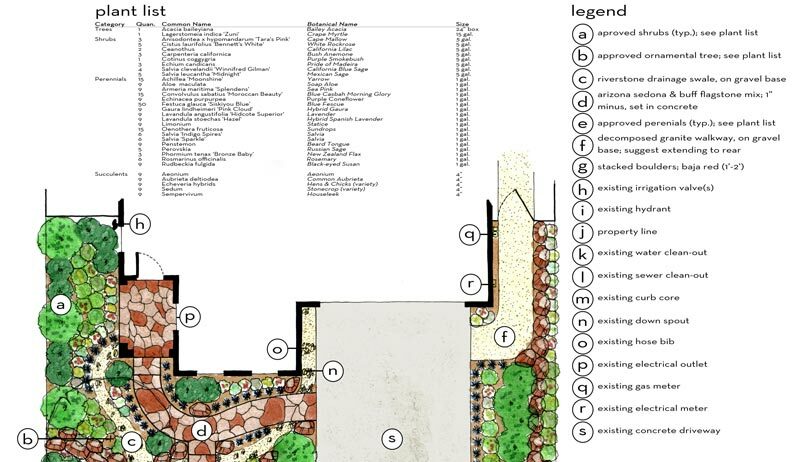 Share the post "landscape design: a creative process"